Walking around Kowloon I got the impression I needed a new shirt. Tailors set upon me, half a dozen at least in 30 minutes, offering suits and shirts, made to fit. Not today, for we were on a mission: to visit as many things as possible on the list. Just after one such encounter we met Gordon (‘not Ramsay’), a sales rep for the Big Bus Tour company. I suspect he spotted us first, obviously tourists, obviously looking around, and probably slightly lost. After a hesitation on our part at the end of the sales pitch, he offered “the discount”. No pressure though – he was happy for us to walk away and think about it for 10 minutes. Quite a contrast to our experience in a camera shop, where the salesman chased us after failing to make a sale. We became suspicious after the item was discounted first 50%, then 75% then 90%. 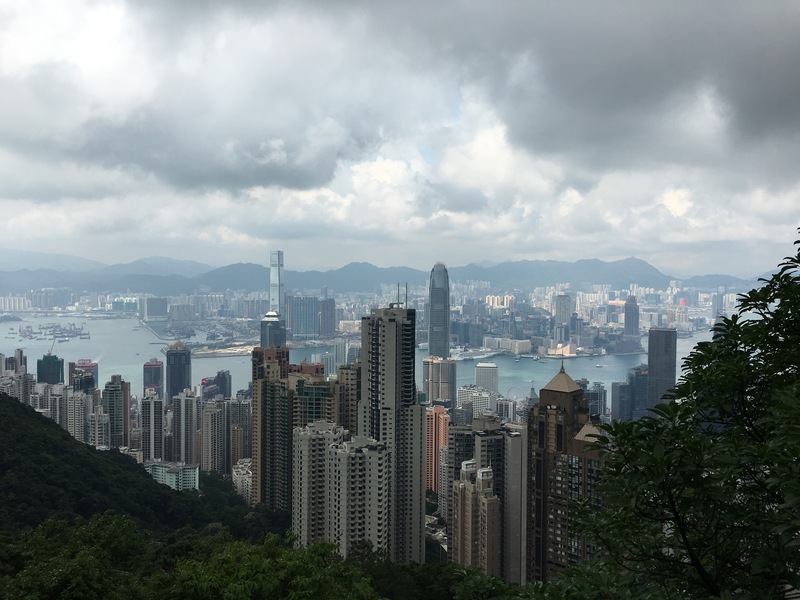 We took the tour deal as it covered everything we wanted to do, plus gave us hop-on-hop-off travel around Kowloon and Hong Kong for two days. The busses are all red open-top double decker. To get over to Hong Kong we took the Star Ferry (included in the deal). 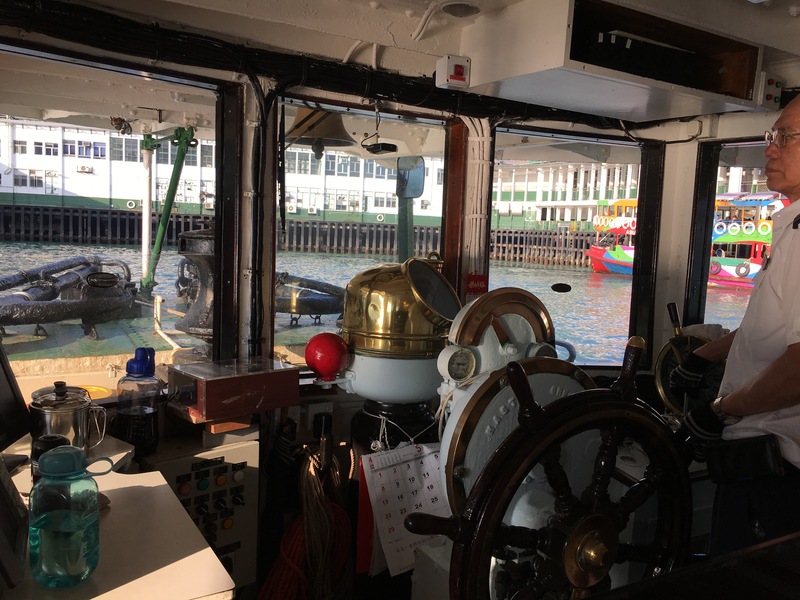 The ferries are low-tech and quite charming, with polished brass and old gauges in the wheel-house. Is that a radar detector in the wind screen? Our first visit was the Peak Tram. 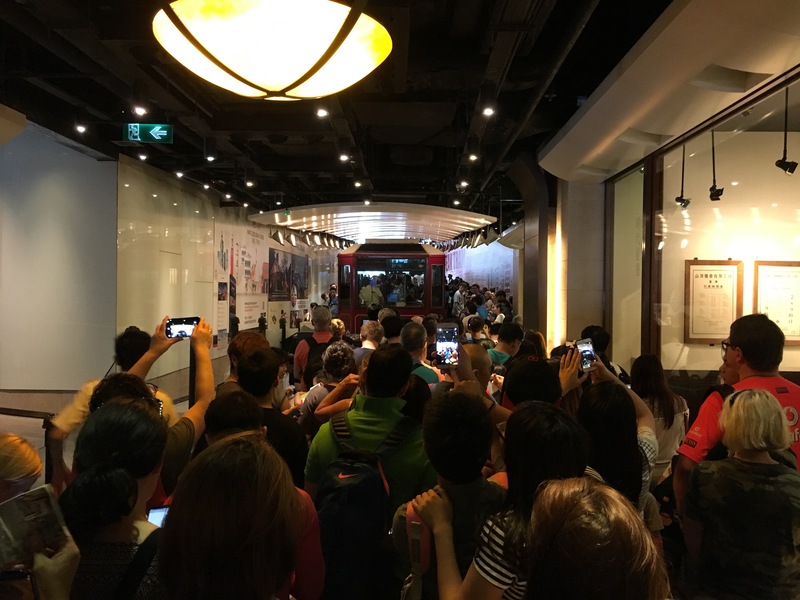 The tram began operation in 1888 and the track is 1.3km long, ascending 400 meters above Hong Kong. Despite being called a tram, it is in fact a cable-car. The staff were incredibly organized, counting people off through the turnstile and controlling the flow to avoid any crush at the doors. The skip-the-line deal looked to save us about two hours queuing, and the journey was great fun as the tram weaved and undulated its way up the hill. Out the side windows we got a good preview of the view at the top. And that view is truly spectacular. This picture doesn’t really do it justice. 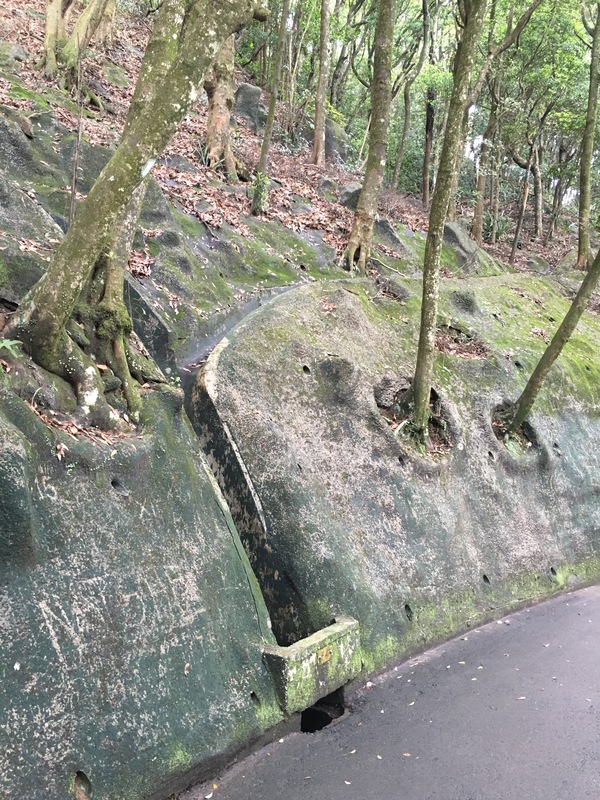 We walked along the ridge from the top of the tram through forrest, and I noticed that the bank is concreted and has channels running into large drains. I gather that when it rains here it really rains. 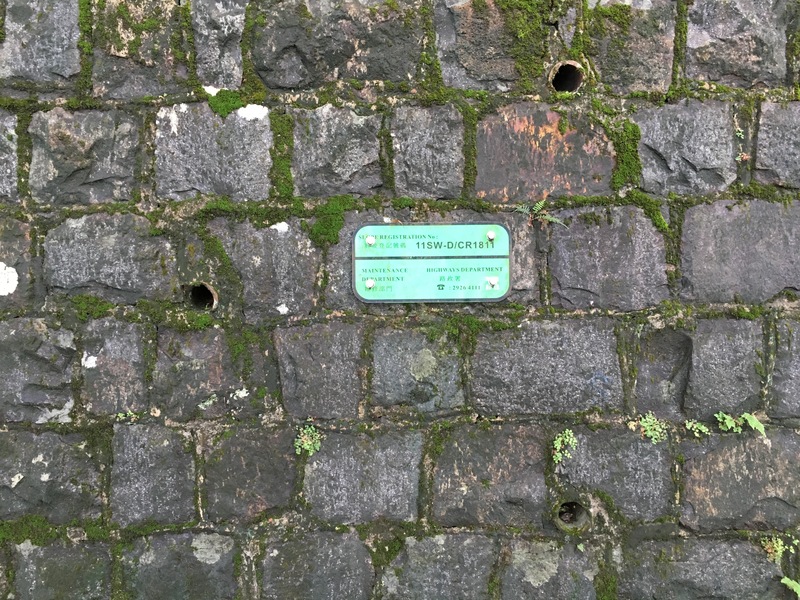 Many banks along the walk had a plaque with a ‘slope registration number’ and telephone contact details. They must take maintenance seriously. 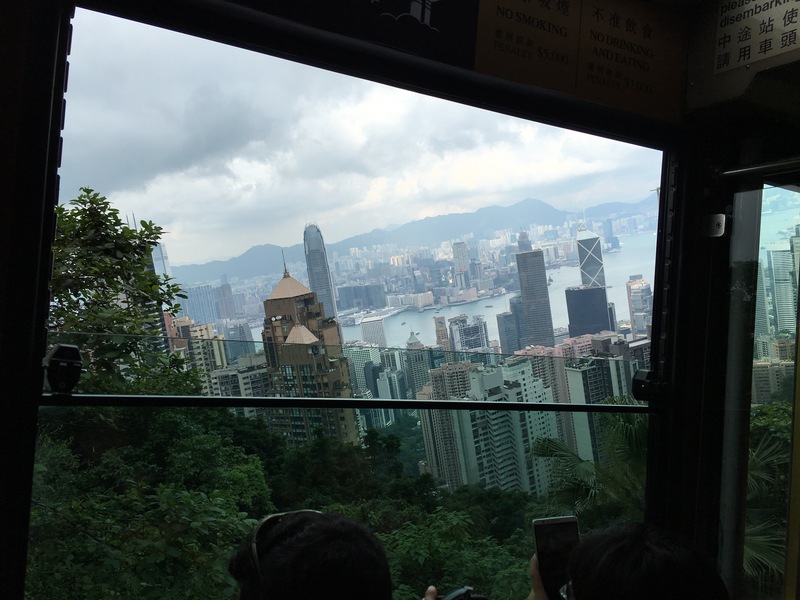 After a funicular descent we took the green line bus to south Hong Kong – Ocean Park, Repulse Bay, and Stanley beach. The road is very narrow by any country’s standards, and it was amazing how close busses were able to pass. We spent most of the trip upstairs outside, but the breeze didn’t make much apparent difference to the 33 degree, 90% humidity. On the ferry trip back to Kiwloon to Kowloon we had a great vista along the southern coastline of Kowloon. 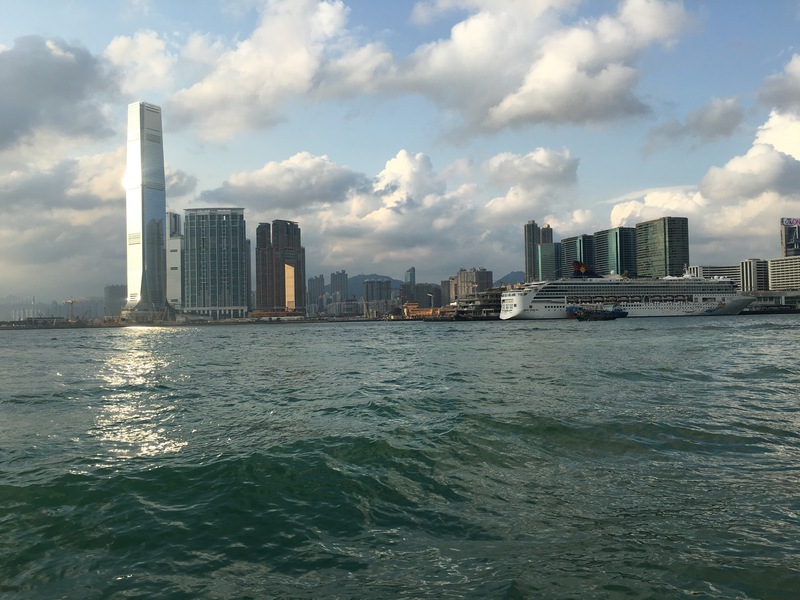 At the left of the image is the International Commerce Centre, the tallest building in Hong Kong, and ninth tallest in the world, by height. The cruise ship at right is birthed at Ocean Terminal. 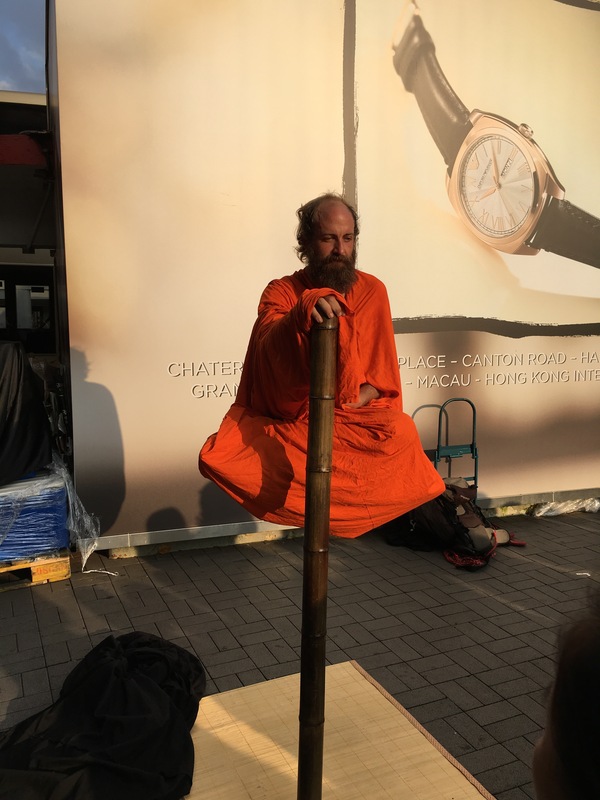 Outside the ferry terminal a street performer was ‘levitating’. I’ve seen these on YouTube a few times but never in real life. Even when you know what the trick is, it’s still a very effective illusion. One thing that struck me as we walked around this evening is the the contrast between the glitzy looking shops at street level, and what was above. 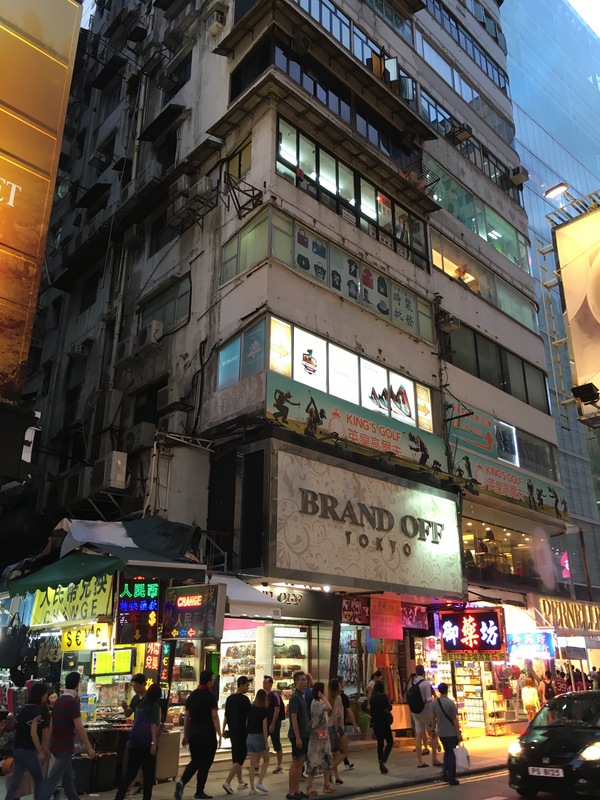 While planning the trip we’d both had doubts about a stopover in Hong Kong. Now we’ve stopped hear there is more we want to see. I guess this will just have to be a taster for future adventures. That’s day one. More sight seeing tomorrow before we catch a midnight flight to Rome.